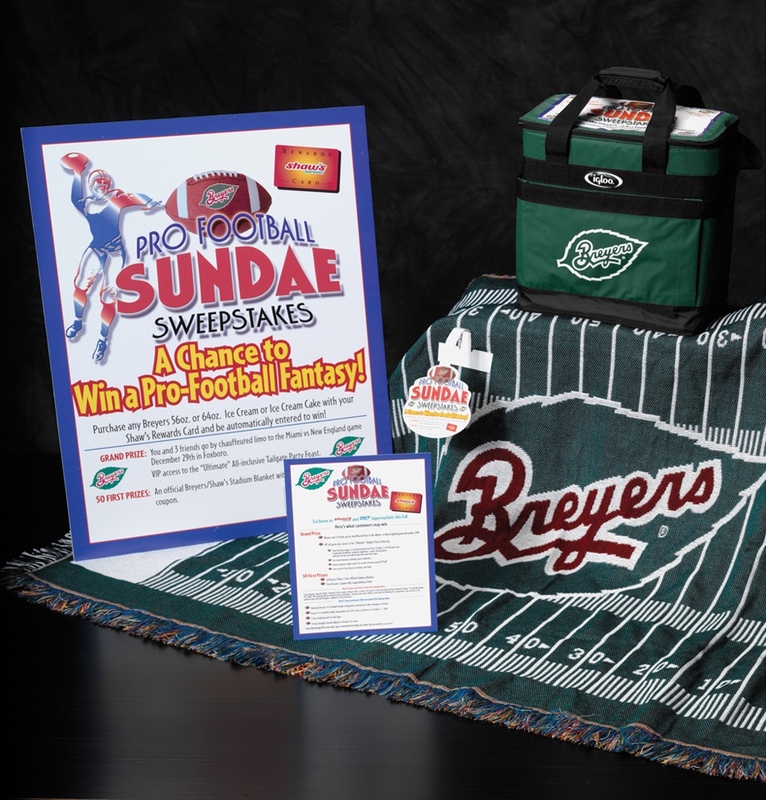 Working with a sweepstakes fulfillment company, Wright Design created the name, copy and a full set of sales and in-store materials for the Breyers Pro Football Sundae Sweepstakes. This promotion was so successful with key retail accounts that it ran for three consecutive years in the greater New England market. Copyright © 2019 Wright Design Inc. All rights reserved.